LONG BEACH, Calif.— Nien-Ling Wacker, Chairman and CEO of Laserfiche Document Management, has been presented with a Women’s Leadership Award by the Long Beach Business Journal. The award was presented August 8 during the Southern California conference of the Women’s Leadership Exchange (WLE), a national organization founded by and for female entrepreneurs. This is the first year the Long Beach Business Journal has recognized women business leaders in the community. Ms. Wacker was one of ten Long Beach women business leaders from a variety of industries to be honored by the Journal during the ceremony, making up the award’s “inaugural class.” The ceremony was hosted by Bob Foster, the newly elected Mayor of Long Beach. Ms. Wacker was chosen for the award for her pioneering role in establishing the document management software industry and for successfully founding Laserfiche and growing the organization into a multi-million dollar corporation. Laserfiche’s global headquarters are located in Long Beach. Other recipients of awards during the conference included Adrienne Hall, President and CEO of The Hall Group and the founder of the first woman-owned ad agency in the United States, and Sherry Lansing, former Chair of Paramount Pictures and the force behind Titanic and Forrest Gump. The conference attracted more than 800 women business owners from throughout Southern California. 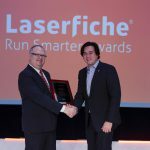 Based in Long Beach, Calif., Laserfiche (www.laserfiche.com) creates simple and elegant document management solutions that help organizations run smarter. Laserfiche solutions are used in more than 22,000 business and government offices worldwide. 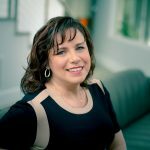 The Women’s Leadership Exchange (www.womensleadershipexchange.com) offers women entrepreneurs access to the tools and connections that drive business growth. The WLE mission is to help develop more women leaders in business and other areas of human endeavor by connecting women with top business experts, corporate leaders, and with each other through conferences around the country.